This Obscura Day, explore Dead Horse Bay's treasure trove of wonder. Walk through Dead Horse Bay, named for the bones that still wash up there, remnants from horse rendering plants on what was once Barren Island. From the 1850s through the 1920s, when horses were the cars clogging the streets of New York, their carcasses were used to manufacture glue and fertilizer, and the boiled bones were dumped in the bay. 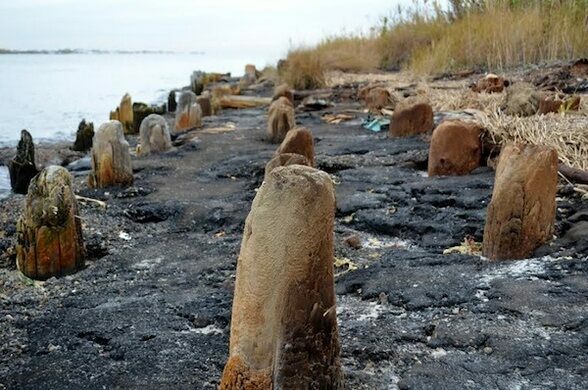 In 1926, the waters surrounding Barren Island were filled in with sand, coal, and garbage to make Floyd Bennett Field, and in the 1950s, the cap on a 20-year-old garbage dump burst, scattering the sand with eras of waste. 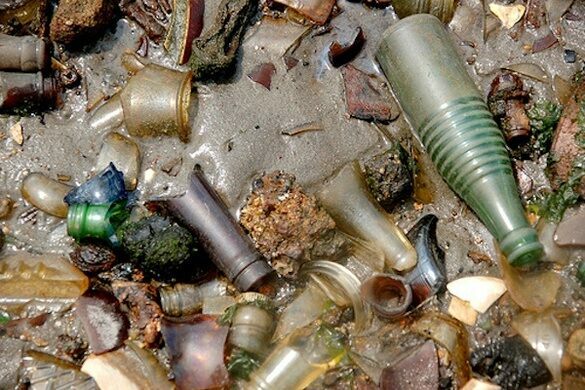 Today the beach is littered with toys, vintage bottles, horse bones, and a slew of trash from eras past. Luckily, we’re into that kind of thing. 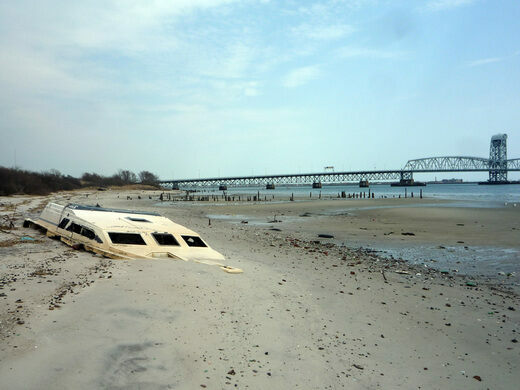 Join us this Obscura Day for an exploration of Dead Horse Bay led by Underwater New York, a digital journal of stories, art, and music inspired by the waterways of New York City and the objects submerged within them. Underwater New York has published a rich collection of poems, stories, songs, photos and artwork drawn from the shores of Dead Horse Bay, and most recently held a reading/performance of new work at Winter Shack. The more we learn about lost Barren Island, the deeper we fall in love with this place littered with history. Come join us to explore its shores! We'll give a historical overview, share some of our favorite headlines from its wacky past, and explore the shore together at low tide. Meet at Floyd Bennet Field in the small parking lot near the former Ranger's Station. Just inside the entry to Floyd Bennet Field, it's the first parking lot on the right side after turning onto Aviator Road. You may use "50 Aviation Road" for GPS coordinates, but be sure to meet in the parking lot and not in any other landmarks. Most of the program will not last the full time, as guests will be able to walk around and explore on their own. Restrooms will not be available. Please be prepared to hike on rough terrain!